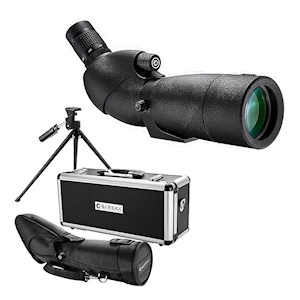 The Barska 20-60x65 WP Level Spotting Scope Kit offers a rugged, waterproof body with fully multi-coated optics and BaK-4 prisms to maximize light transmission for a bright, clear image. The 20-60x65 Level Spotting Scope has been designed to deliver superior performance and reliability, whether you need to spot a target downrange or get a close-up view of wildlife. 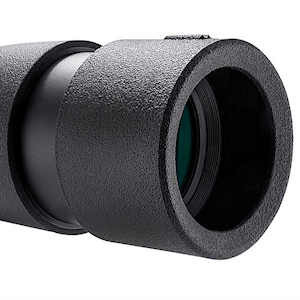 The nitrogen-filled fogproof housing prevents internal fogging to ensure unobstructed view. 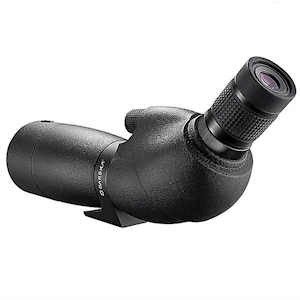 The built-in tripod mounting socket and 20-60x zoom eyepiece help make the Waterproof Level Spotter a full-featured spotting scope that's ready for any scenario. 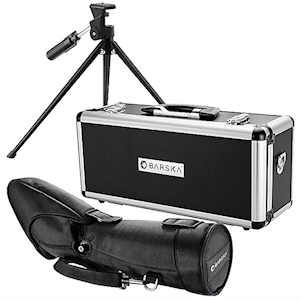 Included is a pan head tripod, soft case and hard carrying case for on the go scoping. Product Weight (oz): 39.2 oz.